October 2017 | Pentaflex INC. October 2017 | Pentaflex INC.
October 31, 2017 /in STEM /by Pentaflex Inc. While the entire month of October is designated as Manufacturing Month, each year there is one day set aside to focus on this sector. On Friday, October 6th, Pentaflex celebrated Manufacturing Day by hosting 180 middle and high school students. 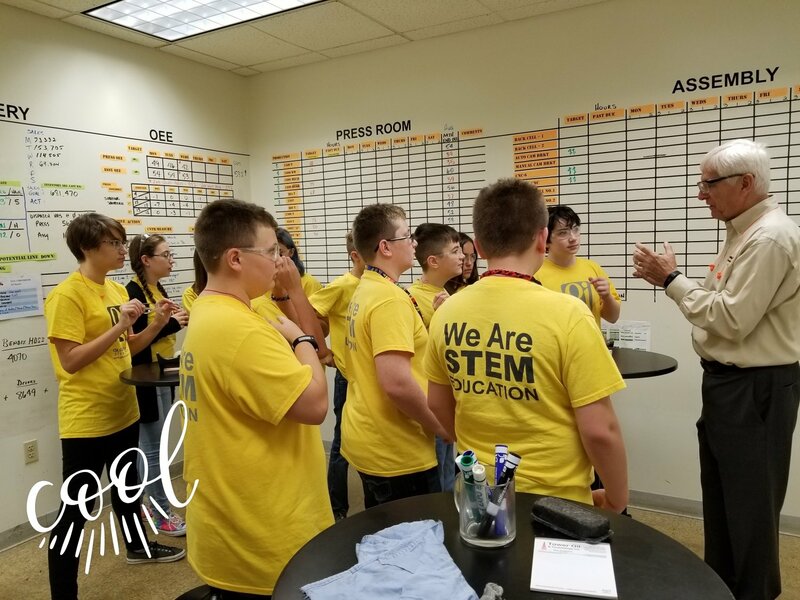 The children came from our local Career Technology Center and our new STEM school, so they already had a good grasp on technical concepts and the manufacturing sector overall. We invited them to tour our facility, walking them through each stage of the business, from assembly to delivery. While these students are fortunate to have access to a STEM-focused curriculum, being able to see how things work up close offers a whole new perspective. More than ever, as we face a shortage of skilled workers who are interested in pursuing industrial careers, it’s important that we expose children to hands-on careers. This introduction to the shop floor shows students the many opportunities open to them within the manufacturing sector. There are so many high-tech options available now thanks to advancements in AI and robotics, making it an exciting time to join this growing field. As a metal stamper for complex components, we understand the value that manufacturing brings to the United States economy. Through our Manufacturing Day activities and other community efforts, we aim to share this knowledge with the general public whenever possible. We are pleased to work with local schools to boost manufacturing exposure and inform young people about the many exciting career options available to them once they graduate. October 11, 2017 /in STEM /by Pentaflex Inc. In recent years, there has been an overall decline in the number of people entering manufacturing, although there is an increase in manufacturing jobs. With a decline in skilled workers entering the market, companies are having to find ways to attract good talent. One way Pentaflex is doing this is by hiring and training interns. Not only can students get valuable experience working on the job, they can also get a better understanding of the many opportunities available to them. This summer, we worked with Claire Lavoie, an intern from Ohio State University. After completing her freshman year she joined us to experience all aspects of the shop floor. Claire worked in our Stamping Department, the Assembly Department, and in Quality Control. Near the end of her time with us, she was assigned several projects to work on which involved data gathering and analysis. Claire led a team through a problem solving exercise which resulted in her assisting in the design of a gauge to be used in the Stamping Department. This new gauge will ensure better quality for parts used in an automated assembly process. Apprenticeships are the perfect way for companies to find quality workers and to increase gender diversity in the workforce by reaching out to women. Historically, manufacturing has been a male-dominated industry, but with more women entering the STEM fields, companies may have a better time closing the skills gap. Attracting younger people is key to manufacturing. 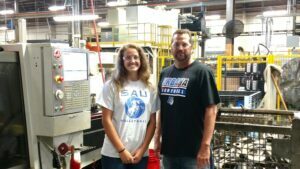 Getting the word out that manufacturing is no longer what it used to be means letting young adults explore the many career paths manufacturing offers. To learn more about our career openings and hiring efforts, please call us at 937-325-5551. We look forward to hearing from you!